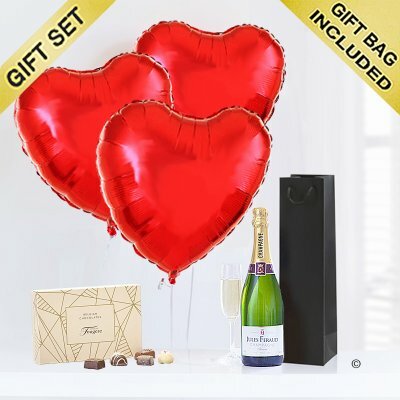 This is a gift that comes straight from the heart, so show just how much you care with this fun gift, so Imagine their surprise and delight when they see three fun bright red heart helium balloons with a delicious bottle of bubbly Champagne and a box of luxury Chocolates to add to that extra special feeling. 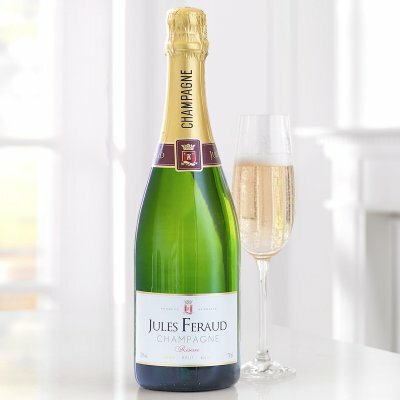 This Jules Feraud Champagne will bring an extra sparkle to the celebrations. It is a flavoursome champagne with a nuts and crumble palate, fresh acidity and a long length, not to mention the appealing nose of caramel and buttered toast, grilled nuts and pistachio. 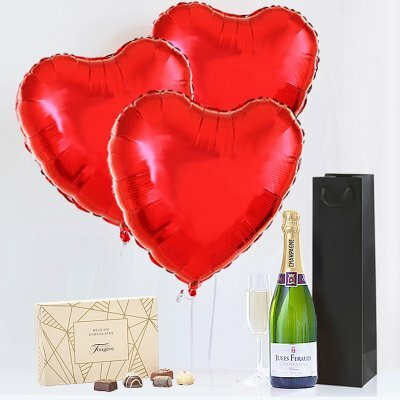 Delicious!, it's surely the perfect way to add sparkle to any special occasion. 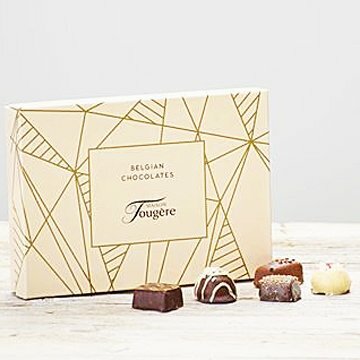 (Allergy Advice: These chocolates do not contain any artificial colours or flavours. Contains: Milk, Lactose, Nuts, Soya. May contain traces of egg, gluten, other tree nuts, peanuts. This products is alcohol free.